Holiday home on the Ebro delta, near the beach. This holiday home is located in a traditional town of Delta del Ebro, just a few metres from the ferry that crosses the river allowing guests to visit the other side of the Delta. This ground floor holiday home features a communal swimming pool. Beaches in this area are long, wide and peaceful. This flat area is perfect for bike rides. The areas mountains are just a few kilometres from the house, as are the renowned Ports de Besseit. 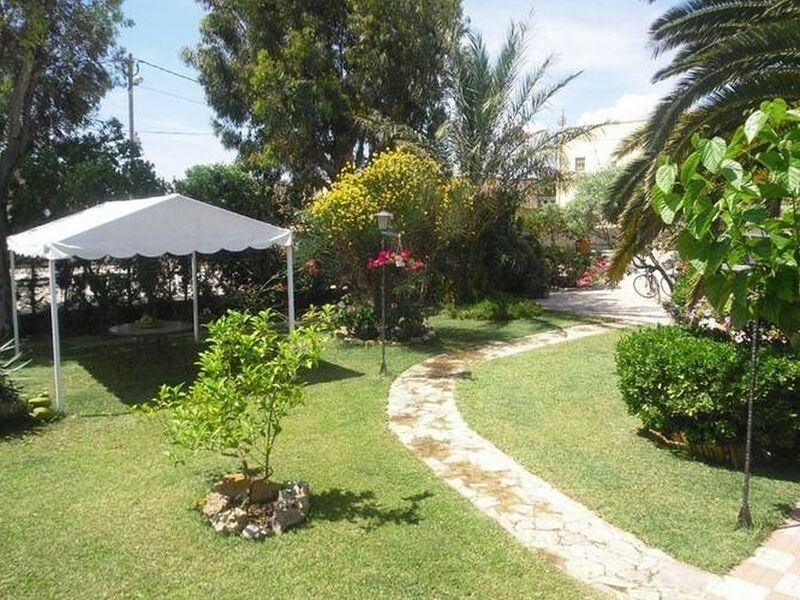 The holiday home is situated in a very quiet spot, towards the end of the town. The owners, who live upstairs and use a separate entrance, are at hand to offer advice on places of interest and excursion in the local area. The landscape of the delta area is amazing and unique in Catalonia. This area is very special and many different things are cultivated there (you will find plough lands, rice fields and orchards). The fauna and the flora are very abundant. We had a pleasant journey to Delta del Ebre. Surroundings are very nice with a lot of interesting places to visit. The appartment is spacious and cosy with beds squeaking a little). Owners are very hospitable and calm. There is a very good restaurant close to a bridge not far from the house. The private garden with a clean pool is very nice. We enjoyed bike riding, fishing, swimming and birds viewing there. Highly recommended. Joan en Pepita zijn hele warme mensen. De ontvangst was uitstekend. Een mand fruit, water en wat te drinken in de koelkast waren aangenaam! Casa Mael is heerlijk, prima huis, heerlijke tuin en zwembad. Joan en Pepita namen ons mee naar dorpsfeesten waardoor we echt het leven als inwoner van Sant Jaume konden beleven. Heel lief voor de kinderen en tijdens een dorpsdiner werden onze jongens met veel plezier opgevangen door de kleinkinderen van Joan en Pepita. Gîte climatisé ce qui est un grand plus dans l'été Espagnol.